As you may know, I am not a huge proponent of extensions as a permanent style option - here is why - but I do think they are great for short term styling (i.e when you want to change it up). I found this great video on African threading, but here is the twist, with extensions! 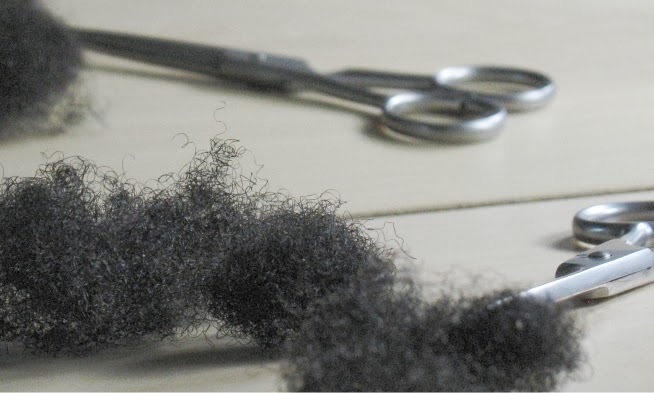 It comes from the aficionado of African threading Nadine of Girls Love Your Curls on youtube. I might do this one, just purely out of curiosity! JC So happy to see you back!! Love your site and still find it a wealth of knowledge. I recently started doing African threading to stretch my hair. It is growing on me as the stretch is divine but my hair tangles like crazy from the compression. I have a question I am hoping you can answer. There is so much contradictory info out here and I love how you examine and present all sides from a neutral perspective. I keep hearing about how healthy hair is hydrated hair and that our hair loves and needs water (hydrphilic). On the other hand I have read that healthy virgin hair is naturally water-repelling (hydrophobic) and that once hair is damaged it then becomes water loving. Am I missing something? How can this be and if healthy hair is hydrophobic why does there seem to be such a push for hydrating our hair and "fixing it" when it repels water? Thanks and glad all is well! That is a really great question Diva! I am definitely going to answer that one quickly!